Contact a pedestrian accident lawyer at the Sam Bernstein Law Firm before speaking with anyone from the at-fault driver’s insurance company. 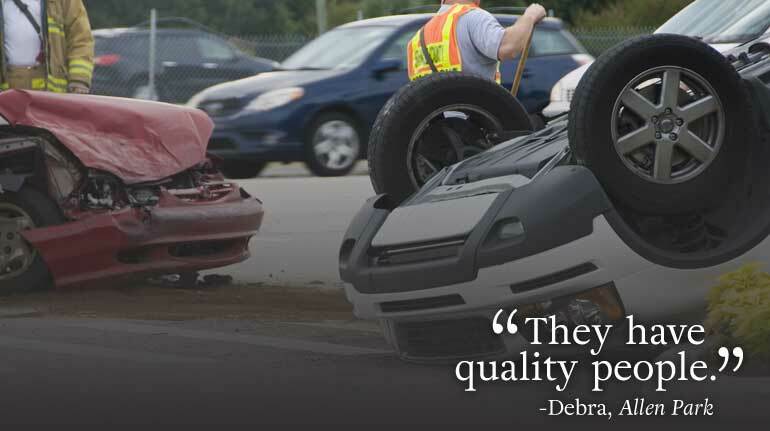 Insurance adjusters may contact you right away after an accident with a small settlement offer. Not realizing the true extent of your injuries at the time can make the offer tempting to accept. However, agreeing to a settlement without completing any necessary medical treatment and signing the wrong papers could mean you have settled for less than you deserve. In 2015, an estimated 70,000 pedestrians were injured in crashes. Comparatively, there was about to 61,000 in 2006—a nearly 15 percent increase over ten years. Tragically, children and the disabled are at the greatest risk of becoming the pedestrian victims of careless drivers. Car accidents involving pedestrians can be particularly severe due to the lack of protection that a pedestrian has compared to a person inside of a car. If a pedestrian is fortunate enough to survive an accident, he or she may suffer extremely serious injuries, requiring hospitalization, surgery, and long-term medical treatment. Often, victims never fully regain their ability to return to school, work, or to resume previous personal activities. Some individuals require help with personal care and other normal activities of daily living for the rest of their lives. Pedestrian Versus Car Collisions—Who Is at Fault? When a car collides with a pedestrian, the driver of the vehicle is not necessarily at fault for the accident. Sometimes, a pedestrian is the cause. For example, if they dart out in front of the vehicle before the driver of the vehicle can reasonably see them or stop. A pedestrian may also be at fault or share some fault for the accident if it occurred while they were jaywalking or walking outside of a crosswalk. The driver is likely at fault if they ran a red light or disobey a traffic signal. Speeding or distracted driving can also put the driver at fault. However, it may not matter who was at fault in order for you to get compensation for your injuries. You may be entitled to compensation for the injuries you suffered due to the accident. It’s not always necessary to prove that the driver was at fault for the accident due to Michigan’s No-Fault law. 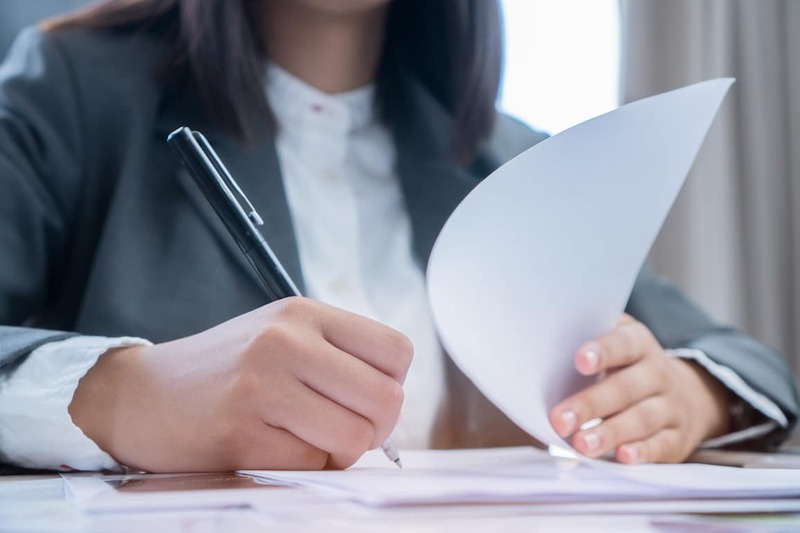 You may be able to collect damages for reasonably necessary medical expenses, as well as a portion of your lost wages due to time off that was necessary to recover from your injuries. Compensation for pain and suffering may also be available for you. To protect your legal rights, you need a well-resourced law firm that’s experienced with the complicated laws related to pedestrian accident claims. Michigan No-Fault law governs many aspects of pedestrian accident legal claims. Studies show that injured parties represented by legal counsel obtain far greater recoveries than individuals who attempt to represent themselves. Please submit a simple, free consultation form now for help. There were an estimated 70,000 pedestrians injured in crashes in 2015, compared to 61,000 in 2006 — a nearly 15 percent increase over ten years. Although commonly spoken, the adage “The pedestrian has the right-of-way” is not necessarily true. Drivers of motor vehicles and pedestrians both have the responsibility to follow the rules of the road and exercise reasonable care. Failure to exercise reasonable care is considered to be negligence. A person who negligently operates a vehicle may be required to pay damages for personal and property damage caused by the negligence. Common examples of negligence by a driver include distracted driving, speeding, failure to yield the right of way to a pedestrian at a crosswalk, disobeying traffic signals and signs, failure to signal while turning, disregarding weather or traffic conditions, and driving under the influence of drugs or alcohol. Drivers have a higher duty of care when they know or should know that small children are present in areas such as schools, parks, and residential areas. In order to establish negligence, the pedestrian must prove that the driver of the motor vehicle owed a legal duty to the pedestrian under the circumstances, failed to fulfill the legal duty, caused the accident or injury, and the pedestrian suffered harm as a result. The police report and witness statements can be helpful if fault is not obvious. If the driver is at fault in the accident, the pedestrian can usually receive compensation from the driver or his or her insurance company. Pedestrians must also exercise reasonable care. A pedestrian can be considered negligent if s/he jaywalks, crosses the street against traffic control signals, crosses freeways, highways, or other roadways without traffic controls, or walks along areas where pedestrians are prohibited by law, such as freeways, highways, and bridges. If the pedestrian is at fault in the accident, s/he will not be compensated by the driver or his or her insurance company. In fact, the driver could actually sue the pedestrian for injuries and/or damages to his or her car! It is possible for both the pedestrian and the driver of the motor vehicle to be negligent. Michigan follows a modified comparative negligence rule, where an injured person can collect damages from the at fault party as long as s/he is less than 50% at blame for the accident. If the injured person bears 50% or more of the blame, s/he cannot recover from the other party at all. In rare occasions, the fault for vehicle-pedestrian accidents can be the fault of the city or town where the accident occurred. This could be the case if the traffic controls were malfunctioning, or if a crosswalk is poorly placed. What does “No Fault Insurance” mean? No Fault insurance is a system where your own insurance company pays most of your economic losses resulting from a car accident, whether or not it was your fault. These benefits are known as “First-Party Benefits” or “Personal Injury Protection (PIP)” benefits. These benefits include wage loss, medical bills, attendant care, and mileage reimbursement. Non-economic losses, including damages for pain and suffering for the injuries you suffer in an accident, are called “Third-Party Benefits”. A Third-Party claim is filed against the driver whose negligence caused the car accident. What do I need to win my accident case? You must show that you have suffered a “threshold injury” to win against a careless driver to recover non-economic damages in a “Third Party” claim. …serious impairment of an important body function, serious disfigurement or scarring, or death. If you have an an injury that effects your ability to live your normal life, then contact our office to protect your rights. Get the Bernstein Advantage® today. What is the law regarding crosswalks? According to Michigan Traffic Crash Facts, in 2014 there were 2,406 pedestrians involved in motor vehicles crashes, with 148 pedestrians killed and 1,962 injured. Nearly 17% of the fatalities occurred while the pedestrian was crossing at an intersection. Michigan drivers might think they know what to do at a crosswalk, but the answer is not so obvious. Most people know that pedestrians in crosswalks have the right away, but what exactly does the right of way entail? Michigan does not have a state crosswalk law. Instead, the Michigan State Police recommends that municipalities adopt the Michigan Uniform Traffic Code, which states that “…[A] driver shall not enter an intersection or a marked crosswalk unless there is sufficient space on the other side of the intersection or crosswalk to accommodate the vehicle he or she is operating without obstructing the passage of other vehicles or pedestrians, notwithstanding any traffic-control signal indication to proceed.” This means that drivers are required only to yield to pedestrians, and not necessarily stop for them, when they are attempting to enter the street from the curb. Even though most cities adopt the Michigan Uniform Traffic Code, some cities have their own ordinances. Such a crosswalk ordinance has been adopted in the city of Ann Arbor, which requires that all vehicles to stop, and not just yield, for pedestrians standing at the curb or within a crosswalk. Traverse City also has a crosswalk ordinance, which requires drivers to yield to pedestrians in unmarked crosswalks, and stop for pedestrians in marked crosswalks. There are groups that advocate for a universal Michigan state crosswalk law. It has been suggested that such a law would increase safety by making it easier for drivers and pedestrians to know what to expect. How long after an accident can I bring a claim? To make the strongest possible case, you need to start as soon as possible with the collection of evidence and the identification of potential witnesses. You have THREE YEARS from the date of a motor vehicle accident to file a claim for Third-Party Benefits. This means that if you do not file a lawsuit against those at fault for the accident before the end of that period, you will forever lose your right to file a lawsuit against those responsible for the incident. Minors have until one year past their 18th birthday to file a lawsuit. There are other exceptions for military personnel, mentally incapacitated individuals, and survivors of individuals killed in a car accident. You have a ONE YEAR limitation to file a claim for reimbursement for No-Fault First-Party Benefits such as wage loss, medical bills, attendant care, and mileage reimbursement. You can collect on these losses for longer than a year, but you must file a lawsuit within one year of when the expense was incurred. Will my medical bills be covered for life? Yes. Michigan law requires that no-fault related medical coverage continue for life, or for as long as you need treatment, for injuries suffered in a motor vehicle accident. However, many factors may complicate payment of your medical bills. If you have questions about the way these complex issues apply to you, contact us now. To qualify for medical expense reimbursement, a medical bill must be reasonable (in cost and necessity) and the expense must be actually incurred, meaning you must have already completed the appointment or procedure. The law does not provide for guaranteed pre-payment of bills for treatment of injuries resulting from an accident. Sometimes, an insurance company will try to escape its responsibility by questioning the need for a medical test or procedure ordered by your physician or by disputing the amount of the bill. An uncoordinated policy pays benefits, regardless of the presence of other health insurance. A coordinated policy requires your other health insurance to pay first, and your automobile insurance to pay amounts that your primary health insurer does not cover. Your auto insurance policy states which type of benefits you should receive. It is common for a primary health insurance policy and auto insurance policy to contain contradictory language regarding which policy is first obligated to pay medical bills. If you have questions about this or are experiencing difficulty getting your medical bills in a timely manner, it is important to contact us immediately. Yes. Michigan law allows you to receive 85% of your lost wages if you are disabled from work due to injuries suffered in a motor vehicle accident. This benefit is tax-free and lasts up to three years. The law also sets a monthly cap on the amount of lost wages that the auto insurance company must reimburse. 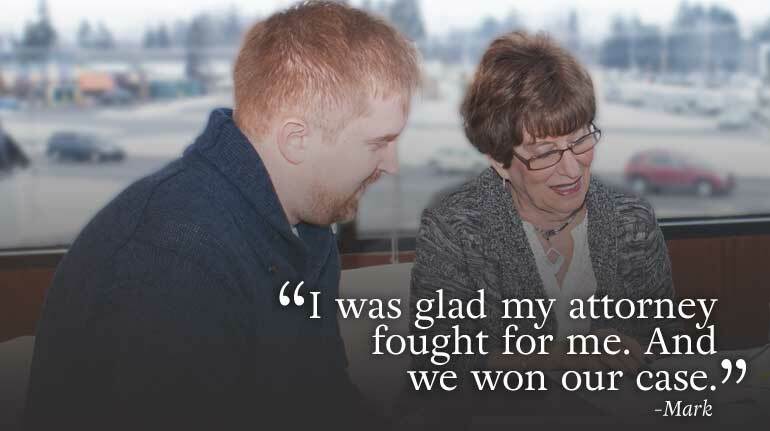 Contact us for help addressing issues related to no-fault benefits and lost wages. Who will take care of me while I am recovering? Michigan law requires an insurance company to pay for attendant care and nursing services if you need supervision or assistance while recovering at home. A severely injured person may need around-the-clock supervision. If a member of your family is helping take care of you, they may be entitled to reimbursement. Though the law does not set a specific hourly rate for the caregiver, the reimbursement should reflect the type and complexity of the services that you receive. An accident can prevent you from completing household services, chores, and errands. If you have paid or promised to pay for activities which you previously accomplished on your own, then you may be entitled to reimbursement for these expenses. Your physician may need to provide a written statement identifying the tasks you are unable to do on your own. Michigan law states that an auto insurance company is obligated to reimburse up to $20 per day for replacement services and that these benefits last for up to three (3) years. If the negligent driver was intoxicated, then a “Dramshop” Claim may exist. This is the legal term for a lawsuit against a liquor store, bar, or other business, which illegally sold alcohol to the person whose unlawful behavior caused an accident. Whether or not the sale of alcohol was legal may be based on the sale of alcohol to either a minor (under age 21) or to a visibly intoxicated adult. Michigan law requires the accident victim to assert the claim against the seller of the alcohol within 120 days after he or she retains an attorney. Therefore, contact us immediately if your accident involved a drunk driver. Can I collect reimbursement for travel to my treatment? Yes. Often, proper medical treatment, tests, and physical therapy require travelling long distances. Michigan law provides for the reimbursement for mileage traveled to and from medical care. Who pays for my First-Party No-Fault Benefits? Under Michigan’s No-Fault law, the injured person’s own auto insurance company pays most of the economic losses caused by a motor vehicle accident. Michigan law establishes an “order of priority” to determine the correct insurance company that is responsible to pay. The State of Michigan Assigned Claims Facility. The Michigan Assigned Claims Facility is the State Agency with the power to assign an insurance company to provide benefits to an injured victim who is not eligible for other No-Fault insurance coverage. To get an application for these Benefits, you can contact the Assigned Claims Facility directly at 517-322-1875. This order of priority changes if you were riding a motorcycle. Under Michigan Compiled Laws §550.3135, a cause of action for damages may be brought by a person who has suffered serious impairment of body function or permanent serious disfigurement. The definition of “serious impairment of a body function” is considered a verbal threshold, since the term is not defined specifically in the statute. The question of what constitutes serious impairment of a body function has been debated ever since the law took effect in 1973. In 1982, the Michigan Supreme Court asserted its first interpretation of “serious impairment of bodily function” in Cassidy v. McGovern. The court established a threshold that specified that an injury must affect the ability to live a normal life. Since “a normal life” can be loosely defined, few plaintiffs were able to recover non-economic damages under Cassidy. Only those who were completely unable to work and/or care for themselves were considered disabled enough to qualify under this standard. In 1986, the Michigan Supreme Court decided the DiFranco v. Pickard case, in which the definition of “serious impairment of a body function” was expanded. The court held that an injured party must show that there is a physical basis for subjective complaints of pain and suffering. Factors to consider included the extent of the impairment, the body function affected, the length of time of impairment, and the treatment required. The more generous interpretation opened the doors for fairer recovery for personal injury plaintiffs. The success experienced after DiFranco lasted until 2004, when the Michigan Supreme Court decided Kreiner v. Fischer and narrowed the definition of “serious impairment of bodily injury” to an injury that affects the general ability to lead a normal life. Under Kreiner, it was insufficient for an injury to affect just part of one’s life, and could not be a mere minor interruption. Therefore, a person who suffered and eventually recovered from a severe injury, or a person who suffered an isolated injury but could still proceed with his/her life, was unlikely to be compensated for the injuries. McCormick v. Carrier, decided by the Michigan Supreme Court in 2010, expanded the restrictive definition of “serious impairment of a body function” that had been imposed under Kreiner. Where under Kreiner a person had to show total disruption of his/her life, under McCormick, an injured victim has only to establish that the impairment affected some of the person’s capacity to lead a normal life. Under this more inclusive standard, many more people are able to be compensated for their injuries. I was glad my attorney fought for me. And we won our case. They have quality people. 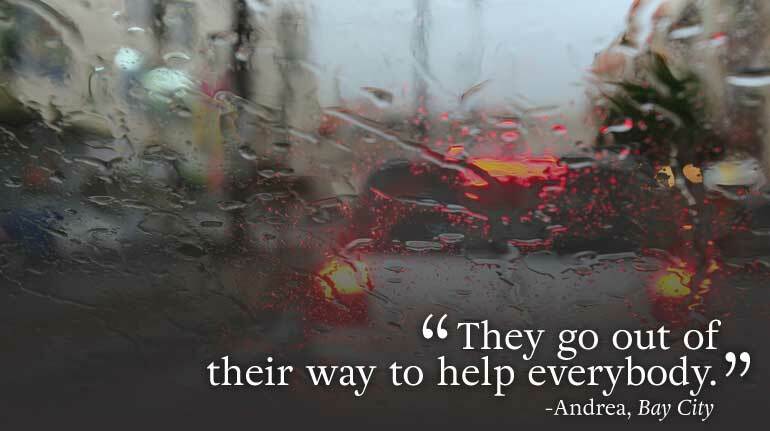 They go out of their way to help everybody.